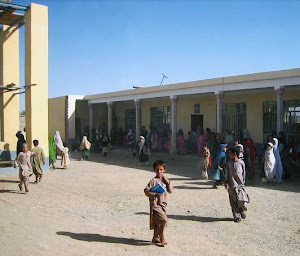 In March 2001, Dr. Mohammad Khan Kharoti, an Afghan American, began supporting classes for ten boys and six girls in the Kharoti family compound in the village of Shin Kalay (or "Green Village"), with a population of 11,000, in Helmand Province of southern Afghanistan. The country at that time was under the control of the Taliban and the education project was undertaken with their consent, including instruction for girls. Two literate women from another village were hired as teachers for the girls. Mohammad personally funded the construction of three classrooms within the family compound where his son Yama and his daughter Sultana, accompanying him on his trip in 2003, assisted in the teaching during that summer. But as the demand for classes increased, the teaching space was stretched to capacity. Some students had to remain outside the classrooms and sit or lie on the floor as they worked on lessons. Back home in Portland, Green Village Schools (GVS) was officially recognized as a US charity and, with new funding available, Mohammad met with the elders of Shin Kalay in 2003 to discuss with them the need to build a real school. Construction began immediately on half a hectare of land owned by Mohammad's brother, Habib. In the ensuing years the educational complex eventually comprised eight classrooms for boys on one side of the school and eight for girls on the other, providing space for nine grades. A well was dug and an elevated storage tank, separate latrines for boys and girls, and a privacy wall around the entire complex were constructed. In addition, the complex contained a library which also served as a community center, and a computer lab was under construction. By 2007, with about 800 boys and 400 girls and a teaching staff of 35, the school was licensed by the Ministry of Education (MOE) in Afghanistan and they provided some financial support for teachers’ salaries. Other support came from a diverse range of community and international partners. The Provincial Office of the Minister of Education records that over 2,400 students had attended the school during its short history. 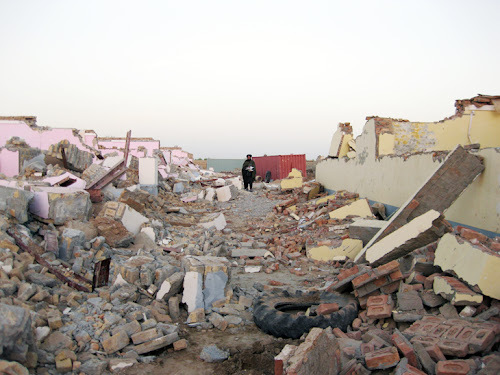 Then, in October 2008, the school in Shin Kalay was destroyed and looted by militants with uncertain motives. Over a period of three days, a backhoe was used to destroy much of the structure as unarmed villagers watched from a distance. Most of the furniture, supplies and materials (iron beams) were carried off. The school was replaced by mud brick classrooms built adjacent to the central mosque. Construction was financed by Afghan Appeal, a London based NGO, and teacher salaries were paid by GVS through June 2011. After that time the village elders had the responsibility of arranging with the MOE to pay teacher salaries. Enrollment in the mud brick classroom rose to about 700 boys while 170 girls were schooled in private homes because of continued unrest in the area for some time. 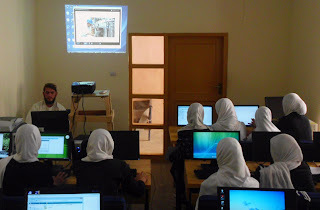 In 2010 GVS, PeacePal (Albuquerque), and Afghan Sister Village Project (Los Alamos) received a grant through a joint application to set up an Advanced Education Center (AEC) in Lashkar Gah. Mohammad spent five months in Afghanistan setting up the project. The center was equipped with 30 computers and internet access via a VSAT (very small aperture terminal) system. Afghan teachers were interviewed via Skype and four, all university graduates, were hired for computer and English instruction. The English teachers completed a TESOL (Teaching English to Students of Other Languages) course over the internet. The first class of 240 students, almost half of them female, received certificates in June 2012. In the second year of the AEC, we received a smaller grant and enrolled slightly fewer students. When funding ended at the end of the third year, we closed the center. 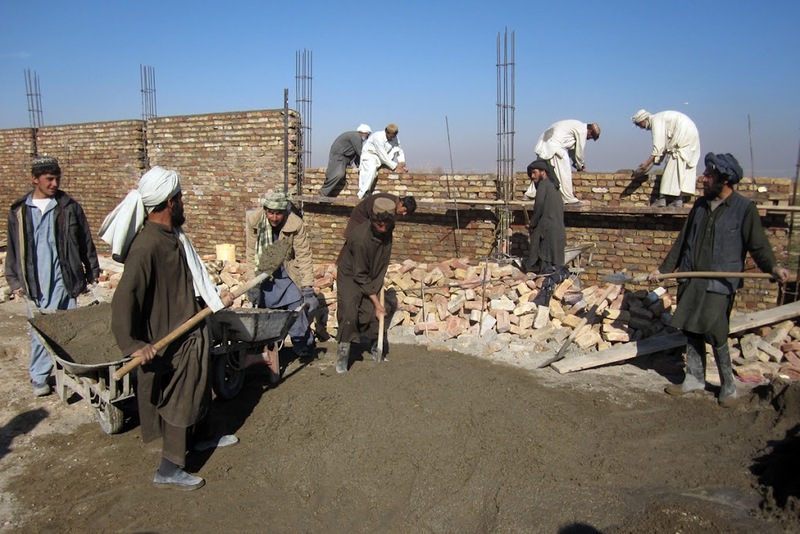 In 2012, Afghan Appeal offered to finance the rebuilding on the site of the original school in Shin Kalay and work began with removal of the rubble, recycling of bricks and other material, and construction of new classrooms. The enrollment is up to 1,200 boys and 600 girls with 35 government teaching positions in spring 2015. The school has 24 classrooms, several administrative offices, a canteen where students can purchase school supplies wholesale, separate computer labs for girls and boys, and, the most recent addition, a library. 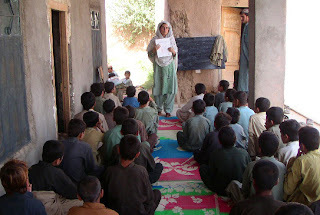 In summer 2015, four teachers from the Wahidi English Language and Computer Center in Lashkar Gah, began English classes for 60 boys and 27 teachers in Shin Kalay. GVS is paying half of the tuition while parents pay the rest. Girls are not involved because the center has no female teachers and the parents are not ready to help with tuition for daughters. We want them to have equal access so we are working to solve these challenges. When we closed the AEC, we moved the computers to Shin Kalay. Operation of the computer labs with access to the internet awaits funding for solar panels.